Since she was little, Angela has always been anxious to do research and learn new things. Her quench for knowledge has kept her ‘nose in the books’ until the very recent years, as she has continued to develop her professional skills, one specialization course after the other. «Business design is my latest passion, and I thrive knowing that I am helping my clients start off on their business adventure with the best possible knowledge and resources». My chat with Angela confirmed what I already had perceived earlier: she is the true embodiment of doing well by doing good. Angela Carfa grew up in the small town of Mesoraca in Calabria, wandering in the woods and playing games out on the streets with her sister and two brothers. Her childhood was warm, sunny and happy, filled with stories told by her grandmother – her sweet guardian angel – in the local dialect. Still today Angela loves to return to the woods to connect with nature, soil and trees. After high school Angela moved to Siena where she completed her degree in Economics and banking. She did her thesis on Economic Policy about the functioning of the Fair Trade for a group of African artisan companies. The aim was to observe the effects, in terms of negotiating power for entrepreneurs and welfare for local community, of an alternative method to make international trade compared to the big organised distribution channels. She later seeked specialization in consulting of non-profit organization and companies and obtaining funding at international level. 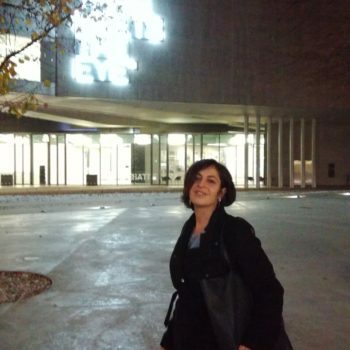 After graduation, she worked in a few non-profit organizations including ARCI (Associazione Ricreativa e Culturale Italiana) and Amnesty International, and fondly remembers these experiences as important steps on her career path. She also completed two specialization courses – one in Udine and one in Rome – in the field of financial opportunities offered by the EU for social welfare services. Today Angela has her own freelance consulting company, Studio Carfa, and as CPA she is specialized in start-ups, business design, innovative and social impact and obtaining funding for companies and organizations. Her clientele is made up of associations as well as small companies, and she excels in providing start-ups with advice on public funding at national and EU level. Angela is also a member of the Equal Opportunity Commission to the Order of Accountants in Rome and has some extensive research for several projects. «In the past, a CPA entered in the picture when the company was already established and needed help with basic accounting tasks. These days my role as business designer requires me to provide my clients with advice long before their company even starts its activities, through precise planning, calculations and profit generation previsions», Angela explains. 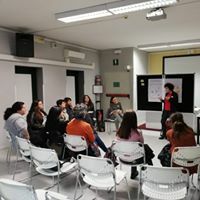 Angela has hosted many laboratorial sessions – called Buon lavoro mamma – where women with families share their business stories and perplexities, and the optimal solutions are sought for and retailed together, through brain-storming and putting theory into practise with the supporting force of peer women. «The meetings we hold are simply magnificent, true learning occasions for the participants and myself as well. From the last cycle, I remember fondly a young Argentinian woman who managed a one-woman cushion-factory and shop with very little knowledge of Italian, and while taking care of her two-year-old daughter», Angela recounts. 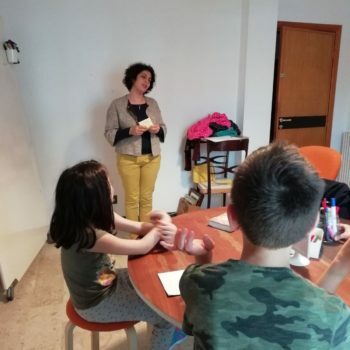 She also tours in Roman schools with her project “Le ragazze contano” (Girls count) with the aim of educating girls and telling them of the importance of STEM subjects. «One of my biggest idols is Rita Levi-Montalcini, an exceptional role model and STEM-woman», Angela says. Her book, L’Elogio dell’imperfezione, is one of Angela’s ‘bibles’ and she admires Levi-Montalcini’s wisdom and calm reminder of ‘everything changing, slowly but surely’. 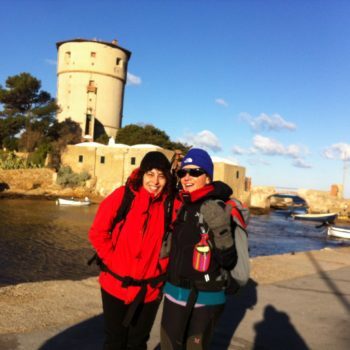 On Sundays, you can find Angela strolling through Roman parks or nearby forests with her water bottle, backpack and trekking shoes. 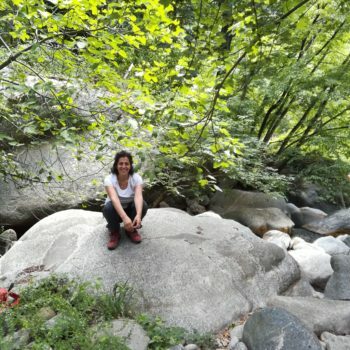 Last summer she walked for 50 kilometres touring valleys of Basilicata and she loves to explore Italy by her favourite means of transportation, her own two feet. «A few years ago I spent a wonderful vacation in Sweden and was fascinated by the orderly, silent reign of nature and wildlife. But I don’t think I could live in such an environment for too long, my Mediterranean blood yearns for some noise and even disorganization that I am so used to», she laughingly admits. As a matter of fact, music is another passion of hers, more precisely traditional local songs. 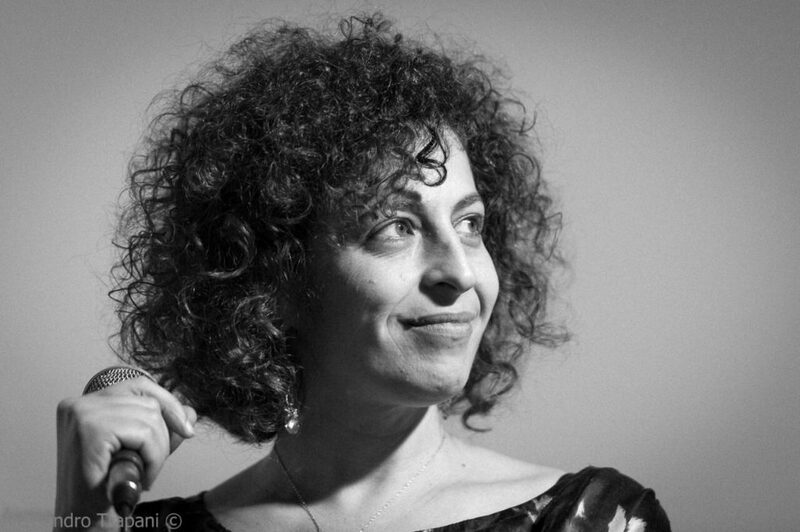 She has a vast collection of Calabrian traditional lyrics and has toured several regions of Italy with musicians who accompany her with zampogne, flute and other traditional instruments, while she sings in dialect, continuing in her grandmother’s footsteps. Together with her ensemble, she even represented Italy in an international festival in Valencia a few years ago. Angela must hold a record in PWA: she joined the association in January 2018, before ever coming to a conference or a conneXion. All merit of Membership Director Florencia Barbieri, who was so convincing in her marketing speech, that Angela fell in love with PWA “at first sound” – not sight. Since then, Angela has attended most of the monthly events and end-of-the-season parties, and in her role as Special Projects Director since September, she has kicked off Wings lab, a very successful mentoring series, where women share their difficulties and challenges: the peer-to-peer approach has worked miracles so far. «I am thrilled that my proposal received such a warm welcome and together with a team of other PWA women we have hosted three sessions already. Rome Business School – through PR Director Gerlie Saura – has offered us a room and we even have a new logo that represents us. We feel very fortunate and are ready to face the challenges together with our women on the ‘hot-seat’», Angela admits with a smile. «I have always thrived in challenging, un-known situations where problems need solutions and separate points need to be united with an invisible, but solid line. PWA is the perfect environment for me to build the right connections, both with other women as well as subject-matter».